Agra is a city on the banks of the river Yamuna in the northern state of Uttar Pradesh, India. It is 378 kilometres (235 mi) west of the state capital, Lucknow, 206 kilometres (128 mi) south of the national capital New Delhi and 125 kilometres (78 mi) north of Gwalior. With a population of 1,686,993 (2013 est. ), it is one of the most populous cities in Uttar Pradesh and the 19th most populous in India. Agra can also refer to the administrative district that has its headquarters in Agra city. It is a major tourist destination because of its many splendid Mughal-era buildings, most notably the Tāj Mahal, Agra Fort and Fatehpūr Sikrī, all three of which are UNESCO World Heritage Sites. Agra is included on the Golden Triangle tourist circuit, along with Delhi and Jaipur. On your arrival at Delhi for Photography Tour, our representative will greet and transfer you to the car. You will drive to the hotel. Remainder of the day is free at your discretion or you can also visit the local market for shopping. Return to your hotel for overnight stay. But before your sleep don’t forget to discuss your photography strategy of next day with our experienced/professional photographer. Have breakfast at the hotel and you will embark upon a journey filled with lots of fun and excitement. 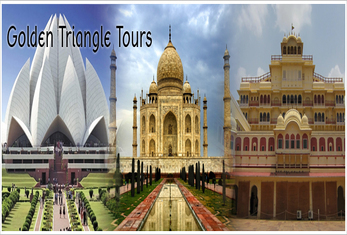 Our representative will transfer you to the car as you go for full-day sightseeing of Delhi. You will visit Red Fort, Jama Masjid, and Qutub Minar. You will also visit the President's House, Parliament House, and India Gate. Our representative will help you out in the ticketing process and will share all the relevant facts associated with these famous monuments. Later take rickshaw ride in the bustling bazaars at Chandni Chowk and tour to Khari Baoli spice market to witness the business markets as well as to eat mouth-watering Indian dishes. Return to your hotel for comfortable overnight stay. But before your sleep don’t forget to discuss your photography strategy of next day with our experienced/professional photographer. Breakfast at the hotel, our representative will drive you to Mandawa. On arrival check in to the hotel short relax time will be given and later proceed to photography tour to local market and enjoy the colorful fresco art & painting. In the evening Return to the hotel for comforting overnight stay. But before your sleep don’t forget to discuss your photography strategy of next day with our experienced/professional photographer. Have delicious breakfast at the hotel and our representative will drive you for full-day sightseeing in Mandawa. This place is famous for various Havelies and forts. You will visit Hanuman Prasad Goenka Haveli and many other famous Havelies. You can see houses painted having colorful fresco art & painting. Return to the hotel for relaxing overnight stay. But before your sleep don’t forget to discuss your photography strategy of next day with our experienced/professional photographer. Have delicious breakfast at the hotel, our representative will drive you to Phalodi. On arrival at this place, we will proceed for local street photography In the evening you will go to watch Demoiselle Cranes and enjoy the lively atmosphere. Return to the hotel for peaceful overnight stay. But before your sleep don’t forget to discuss your photography strategy of next day with our experienced/professional photographer. Have delicious breakfast at the hotel and our representative will drive you to do Bird watching/photography, Camel Safari and desert rides. Enjoy the environment in this lively desert area. Return to the hotel for relaxing overnight stay. But before your sleep don’t forget to discuss your photography strategy of next day with our experienced/professional photographer. But before your sleep don’t forget to discuss your photography strategy of next day with our experienced/professional photographer. After having delicious breakfast at the hotel, our representative will drive you to Jaisalmer, which is also known as "The Golden City" while travelling to the destination you can explore and capture the journey photographs in your camara. Upon arrival at this place, our representative will transfer you to the hotel. Remainder of the day you are occupied with the photography lessons and check on the previous pictures you can roam around the markets to do shopping along with the photography. Return to the hotel for comforting overnight stay. But before your sleep don’t forget to discuss your photography strategy of next day with our experienced/professional photographer. Have breakfast at the hotel and our company representative will take you for full-day photography tour of Jaisalmer, wherein you will capture Jaisalmer Fort, Gadi Sagar Lake, and various beautiful decorated Havelies. It is such a wonderful experience for every traveler coming to The Golden City of India. But before your sleep don’t forget to discuss your photography strategy of next day with our experienced/professional photographer. After having breakfast at the hotel, our representative will drive you to Desert Village (Sam Sand Dunes), which is famous all across the globe for sand dunes, camel races and desert safari. On arrival at the place, you will be transferred to a desert camp. Today you gonna capture sand dunes, camel races folk dance performances, puppet shows, open-air cultural extravaganzas around a bonfire. Return to the hotel for comfortable overnight stay. But before your sleep don’t forget to discuss your photography strategy of next day with our experienced/professional photographer. After having delicious breakfast at the hotel, our representative will drive you to Jodhpur, which is famously also known as "Blue City" & "Sun City". On arrival at this place, our representative will transfer you to the hotel. We gonna capture today the famous tourist locations, which include Umaid Bhawan Palace, Mehrangarh Fort, Jaswant Thada. Return to the hotel for peaceful overnight stay. But before your sleep don’t forget to discuss your photography strategy of next day with our experienced/professional photographer. Have breakfast at the hotel, as our representative will transfer you to the car and drive to the Ghanerao Castle, which is located in Ghanerao. This palace symbolizes lavish lifestyle of the ancient kings and is a perfect example of architecture based on Rajput style. After arrival at this place, our company representative will transfer you to the Castle. Later you will go for photography around the Ghanerao village. You will have a look at the various temples, marble archways and step-wells. Return to the Castle for comfortable overnight stay. But before your sleep don’t forget to discuss your photography strategy of next day with our experienced/professional photographer. After having breakfast at the Castle, you will again leave for full-day photography tour of various places in and around Ghanerao. You will visit Ranakpur and Rebari community small villages. Have a look at the lifestyle of these communities and explore the significant places in these villages. It is such a wonderful experience, which you will remember for all the years to come. Return to the Castle for relaxing overnight stay. But before your sleep don’t forget to discuss your photography strategy of next day with our experienced/professional photographer. Have breakfast at the Castle then our representative will transfer you to the car and drive you to Udaipur. On arrival at Udaipur, our representative will transfer you to the hotel. Later in the evening you will go for boat ride in Lake Pichola and enjoy the sunset. Return to the hotel for relaxing overnight stay. But before your sleep don’t forget to discuss your photography strategy of next day with our experienced/professional photographer. After having delicious breakfast at the hotel, you will proceed to photography of "City of Lakes-Udaipur". by clicking City Palace situated on the banks of Lake Pichola and gives a panoramic view of the whole city. After this you will be clicking Jagdish temple-a very famous Hindu temple Then you will drive through the old city of Udaipur to reach Fateh Sagar Lake and will also see Saheliyon-Ki-Bari - Courtyard of the Maidens that was designed and laid out early in the eighteenth century as a retreat for ladies of the royal household to spend their time in leisure. Later in the evening you can visit Monsoon palace to capture the sunset or you can do shopping in this beautiful city, which is famous for wooden folk toys, wall hangings, hand printed textiles and much more. Return to the hotel for comfortable overnight stay. But before your sleep don’t forget to discuss your photography strategy of next day with our experienced/professional photographer. Have breakfast at the hotel and our representative will drive you to Khempur. This place has famous heritage hotel "Ravla Khempur". After arrival at this place, our representative will transfer you to the hotel. After a short break, you can go for camel safari, horse riding, village sightseeing and Jeep safari. Return to the hotel for relaxing overnight stay. But before your sleep don’t forget to discuss your photography strategy of next day with our experienced/professional photographer. Have breakfast at the hotel then our representative will transfer you to the car and drive you to Pushkar-one of the oldest existing cities in India. Large number of devotees visit this place to take a dip in holy Pushkar lake. On arrival at Pushkar, our representative will transfer you to the hotel. Visit Brahma Temple and Pushkar lake to capture the sunset. On Return walking tour of the Pushkar street in the evening back to the hotel for relaxing overnight stay. But before your sleep don’t forget to discuss your photography strategy of next day with our experienced/professional photographer. Early morning check out from the hotel after having breakfast at the hotel, proceed to photography of pushkar lake and drive to see the various other holy Ghats photography in this beautiful city. After this our representative will drive you to Jaipur. En Route, you will visit/capture Ajmer to explore famous photography places like Dargah Sharif and Ana Sagar Lake. On arrival at Jaipur, our company representative will transfer you to the hotel. Later in the evening you will go to Chokhi Dhani- a village resort wherein you can enjoy the traditional Rajasthani food, folk dance and culture. Return to the hotel for peaceful overnight stay. But before your sleep don’t forget to discuss your photography strategy of next day with our experienced/professional photographer. Early morning walking tour of jaipur city once back take delicious breakfast at the hotel, as you are in the Pink city of India- Jaipur. This place is famous all across the globe for various magnificent forts and palaces. Our representative will drive you for full day photography tour in Jaipur. You will start the city tour by visiting Amber fort and enjoy the elephant ride. You will also visit Hawa Mahal, City Palace, Albert Hall museum situated in Ram Niwas Garden. The evening is free for independent activities, you can visit the various local shopping markets to buy traditional outfits, pots, gemstone jewelry, and other beautiful handicrafts. Return to the hotel for relaxed overnight stay. But before your sleep don’t forget to discuss your photography strategy of next day with our experienced/professional photographer. Have early morning breakfast at the hotel, our representative will transfer you to the car and drive to the city of Taj- Agra. En Route, you are going to capture Fatehpur Sikri - wonderful fortified ancient Mughal city. On arrival at Agra, you will visit Taj Mahal-the monument of love at the time of sunset and later our representative will transfer you to the hotel for peaceful overnight stay. But before your sleep don’t forget to discuss your photography strategy of next day with our experienced/professional photographer. In the early morning, you are again going to visit the unrivaled Taj Mahal -well-known for its beauty at the time of sunrise. Take some beautiful photos at this monument and cherish this moment for all the years to come. Return back to your hotel for relaxing and having breakfast. Later our representative will drive you to visit the other major tourist locations in Agra, which includes Agra Fort and Itmad-ud-Daulah's Tomb (Baby Taj). In the evening you can go for shopping, as Agra is famous for carpets, rugs and marble handicrafts. Return to the hotel for comfortable overnight stay. But before your sleep don’t forget to discuss your photography strategy of next day with our experienced/professional photographer. After having breakfast at the hotel, our representative will transfer you to the car and drive you to Delhi. If you have your international flight then on arrival at Delhi you will be transferred to the Delhi Airport to board your flight to next destination/home or you will be transferred to the hotel for comfortable overnight stay. Photography lessons and suggestions every evening.